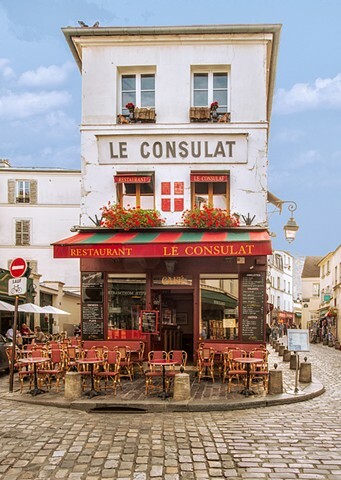 The much photographed Le Consulat Restaurant is a famous one in Montmartre. I speak to numerous people who tell me they got engaged sitting at that table in the front of the restaurant. It is difficult to get a good photo here as it can be tricky to get a picture before the tourists arrive but after the tables and chairs have been put out. There is about a 4 minute window of opportunity!